This past weekend the nation observed Veterans’ Day honoring military personnel from all wars, and also commemorated the centennial of the United States entry into World War I. There could not have been a more fitting tribute to both of these occasions than the performance of Benjamin Britten’s “War Requiem” presented by Music Worcester in Mechanics Hall on Sunday afternoon. “The War Requiem” was written in 1962 by Britten to fulfill a commission to celebrate the consecration of the new St. Michael’s Cathedral in Coventry, England. The original medieval cathedral had been destroyed during World War II on November 14, 1940. Britten was a pacifist and the “Requiem” was a personal expression of his revulsion of warfare. His music is a contemporary setting of the Latin text of the Requiem Mass. The uniqueness of this mass, though, is Britten’s use of poetry by the most famous of the World War I British war poets, Wilfred Owen. Like Britten, Owen was a pacifist and his poetry affectingly tells of the horrors of war. Britten skillfully alternates the Latin text with Owen’s poetry in English. 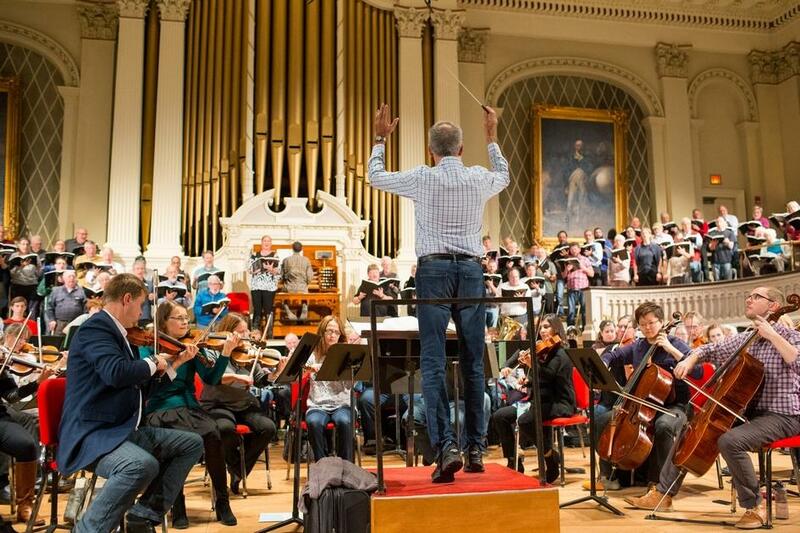 This performance utilized voices from five Central Massachusetts choirs: The Worcester Chorus, the Master Singers of Worcester, Salisbury Singers, Sounds of Stow and Worcester Children’s Chorus, more than 250 voices in all. There was also a full orchestra of 75, a chamber orchestra of twelve, organ, piano and three soloists. The Latin text is sung by the adult choirs and the soprano soloist accompanied by the full orchestra; the tenor and baritone soloists sing Owen’s poetry accompanied by the chamber orchestra. The children’s choir, which in the original score is written for boys’ choir, sings hymns in Latin accompanied by the organ. As the work progresses the Latin and English texts begin to intertwine. The combined choruses sounded glorious; the sound was relaxed and full, attacks and releases were precise (no small feat in a group this large) and vowel sounds were beautifully matched. Britten’s score is a landmine of chromaticism and complex rhythms, but all the performers, both vocalists and instrumentalists, performed them accurately and with ease. The myriad of dynamic indications, which added to the intensity of the music, were carefully prepared and realized. Some crescendos which built to a shattering climax, particularly the ones at “Tuba Mirum” and “Libera me,” were breathtaking. The three soloists were spectacular. Esther Heideman, soprano; Frank Kelly, tenor; and Craig Irvin, baritone, all have superb voices and the special quality of conveying the text in an expressive and affecting way. In the powerful Dies Irae, Ms. Heideman’s voice soared over the chorus and orchestra, then turned gentle as in the Lacrimosa. All her segments were sung with elegance and beauty. Mr. Kelly’s solos, conveying Owen’s poetry, were sung with clear diction and with an emotional connection to the words. In the Offertory, his rendition of the line “When lo! An angel called him out of heaven” brought tears to my eyes. Mr. Irvin, with his lush baritone voice and impeccable diction, joined Mr. Kelly in a duet on the story of Abraham and Isaac, which was sung with great power and emotion. Owen’s startling rewriting of the end of the story only added to the intensity of the piece. The Worcester Children’s Chorus was seated in the rear balcony, and their contribution was nothing less than angelic. They sang the difficult score with great accuracy and a pure sound. They should be very proud of their contribution to the program. The two orchestras provided fine accompaniment and support to the choruses. Each had a separate conductor and the switch from full orchestra to chamber orchestra or vice versa was done seamlessly. The children’s chorus has its own conductor as well. Frankly this was the first performance I have ever seen where there were three conductors involved, and to their credit, it worked flawlessly. The sheer mechanics of staging such a large group of musicians was a feat in itself, but the outstanding quality of the performance was due to the five conductors who prepared the singers; Dr. Chris Shepard, Dr. Michelle Graveline, Barbara Jones, Edward Tyler, and Pamela Mindell. 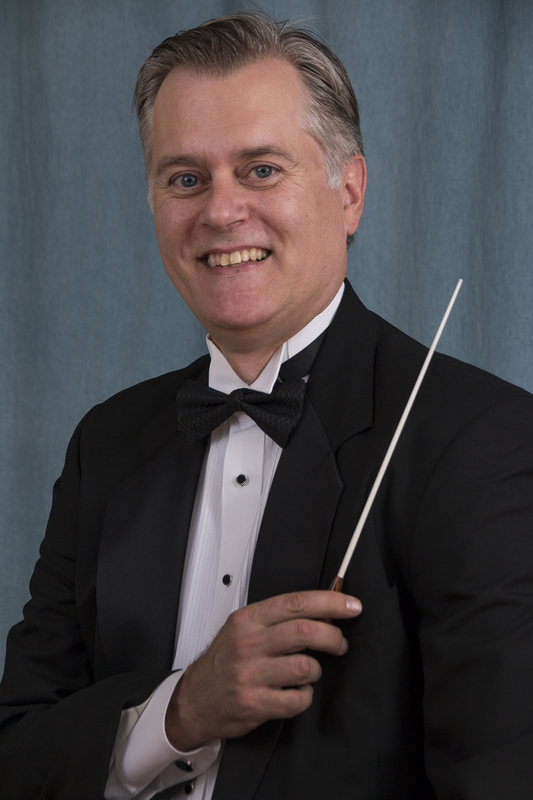 Dr. John Goodwin was the main conductor and artistic director of this presentation. His expert musicianship and unobtrusive and sensitive direction melded this diverse group of performers into a cohesive and expressive whole. Kudos to Music Worcester for offering us the opportunity to hear this monumental work. It was a superb performance, one that will live in memory for a very long time.